The Logrite Buck Arch is a big version of the Junior. It is as easy to use as the Junior but offers more log capacity and features. The Buck is sold in two different configurations. See Tabs below for more information. Product Notes: Ships truck freight. Not available for purchase on-line. Call 1 800-631-4791 for ordering and shipping information. The Logrite Buck Arch is a big version of the Junior. 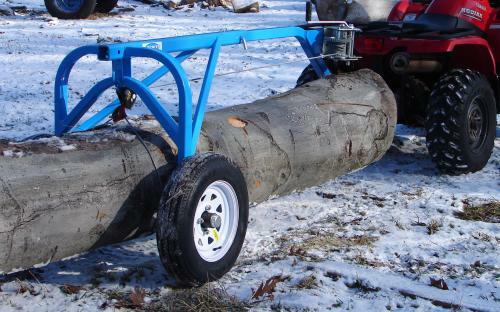 It is as easy to use as the Junior but offers more log capacity and features. 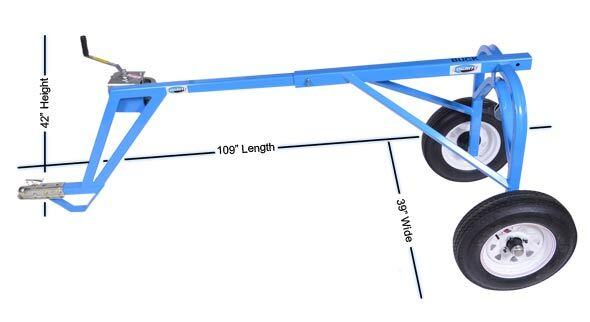 The Buck Arch can carry and completely suspend an 1800 pound log that is 22 inch diameter and 16 feet long. 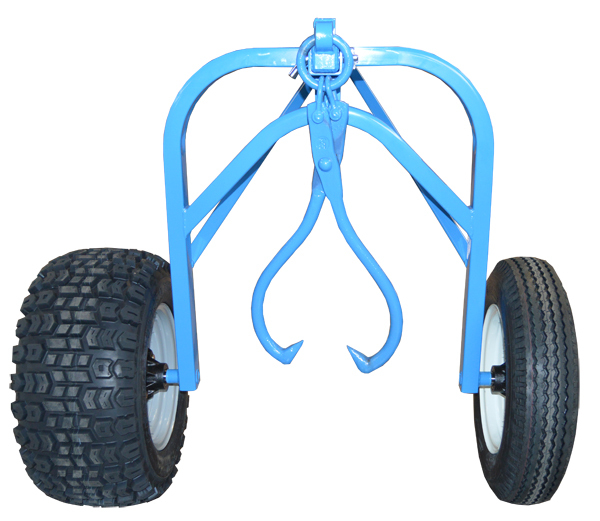 This mighty arch is loaded with special features similar to the Fetching arch so that it can be used for a variety of applications. All the options are sold separately so you can design the Buck to meet your needs. The Buck Arch can be used by hand with the newly designed 5 foot handle. This handle is designed to be more ergonomic for the user's comfort. In this mode, Buck works just like Junior with tongs and a toggling action to pick up logs. 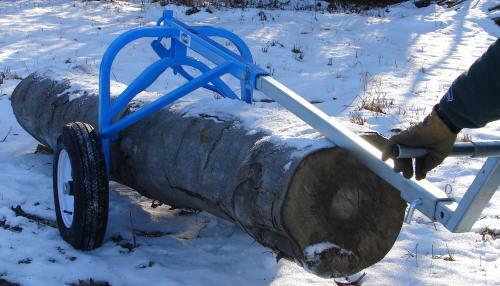 The new adjustable tongue hanger has two positions to make it easy to pick up both small diameter and large diameter logs. 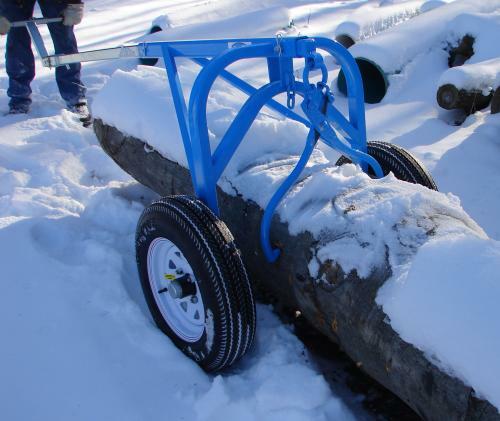 In the up position, you can lift those large diameter logs. By having the tongs in the down position, the tongs will hang lower and it will be easier to toggle over and grab smaller diameter logs. 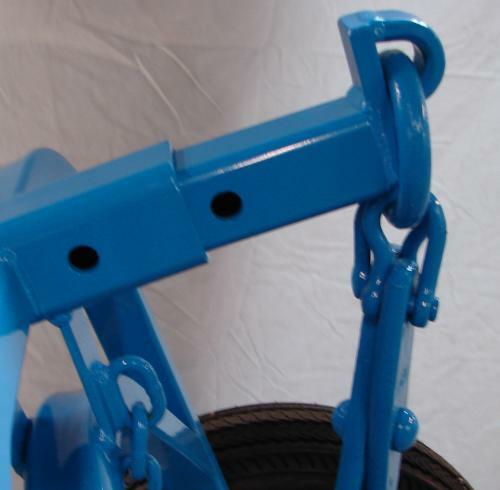 Buck can also be used behind an ATV or small tractor with the Drop Tongue. 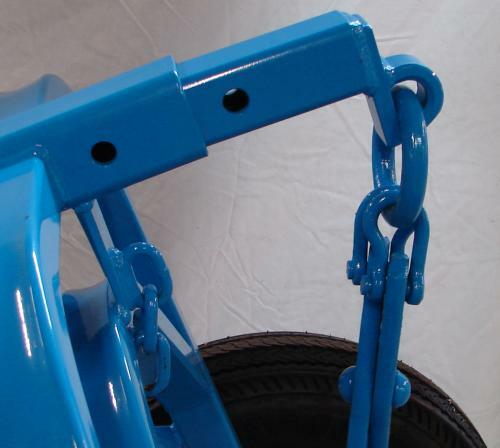 The Drop Tongue attachment is equipped with a 2300 pound, two speed hand winch. This feature allows you to forward one log or a bunch of smaller logs at the same time. The Drop Tongue is 5 feet long and will limit the length of the log that the Buck can carry fully suspended to 10 feet. 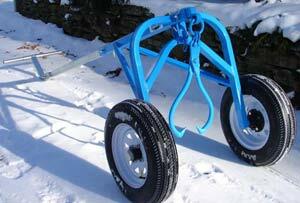 Buck is not intended for steep slopes or use with winch lines. The Buck also has a choker chain option so that it can carry items that you don't or can't set tongs into. 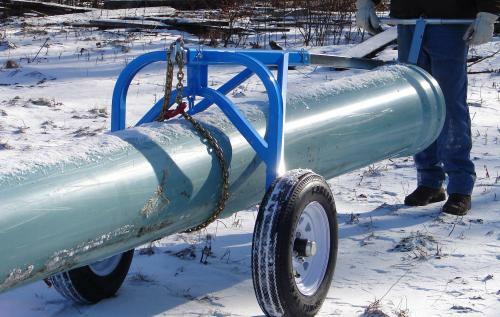 This is a great way to move pipes and beams! 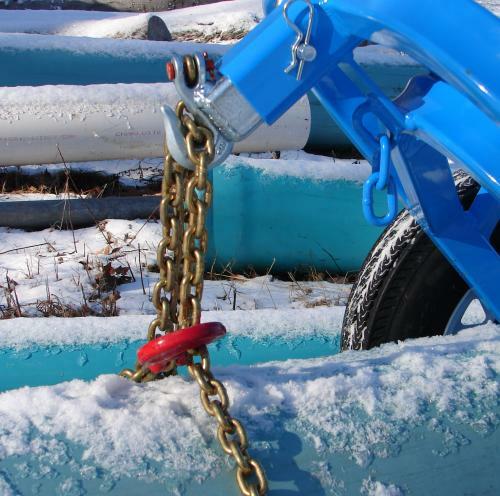 The Chain adapter just pins into place and is equipped with 7 feet of chain and choker hook. I was amazed how easily my wife and I moved around 11 ft, 16 inch diameter logs. You and your crew build a very high quality product. I was impressed with the fit of the handles and pins. Everything fits with almost no slop yet it slides together easily. Optional Chain Adapter for the Buck and Fetching Arches Chain sold separately.